October 10, 1933, a United Airlines Boeing 247 was enroute to Chicago when it exploded and then crashed. The aircraft was destroyed by an explosive device that was placed in the cargo hull of the aircraft. the device used was nitro glycerine with a timer. 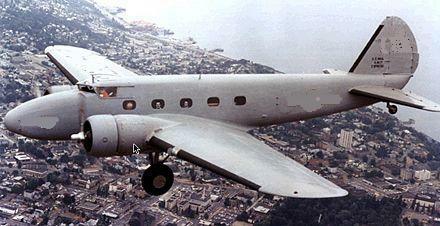 The Boeing 247 originated out of Cleveland. It was carrying 7 on board and all were killed. This was the first sabotage on a commercial Aircraft. JUNE 13--A contract for the development of special radio equipment for making blind landings aboard carriers was issued to the Washington Institute of Technology. Another aviation pioneer to log a landing at Bolling Field was Wiley Post, who set the Winnie-Mae down on the runway July 26, 1933, after his successful world flight. Post was on his way to the White House to be officially greeted by President Franklin D. Roosevelt. A man who had devoted his entire life to flying adventure, Post was the first man to fly around the world alone and the first to fly around the world a second time. He completed his first solo world flight in seven days, 18 hours and 29.5 minutes. AUGUST 8--Commander Aircraft, Battle Force, requested authority to use variable-pitch propellers during forthcoming exercises on six Boeing F4B-4's of VF-3, based aboard Langley, and on one F4B-4 of VF-1, based aboard Saratoga. This request, which stemmed from successful trials conducted by VF-3 aboard the Langley, marked the initial service acceptance of the variable-pitch propeller. SEPTEMBER 7-8--Six Consolidated P2Y-1 flying boats of Patrol Squadron 5F, under the command of Lieutenant Commander H. E. Halland, flew nonstop from Norfolk, Va., to Coco Solo, C.Z., making a record distance formation flight of 2,059 miles in 25 hours 19 minutes.